For crewed sail charter trips next season, I am looking for Stews on weekly / monthly basis. Fun sailing thoughout winter possible too. For the season STCW-BST required and some experience in tampering guests. I have a boat in Greece – Ionian Islands (based Preveza) and currently need crew for the 2 weeks starting 14 June 2015. I am looking for 2 crew/host/ess, to join me on my new 44 ft matrix vision. I plan to leave Cape Town January 15 to Fortaleza , then onward to Trinidad & T. After a slow fun cruise to the usa east coast (4 – 6 months ), I plan to cross again, to reach the Med. Keen to hear from young, life loving energetic souls. Ideally one YM, and one hostess. My journey will be segmented, as I need to return to South Africa every 8 weeks, for a week or so. I have a boat in Greece – Ionian Islands (based Preveza) and currently need crew for the 2 weeks starting 20 Sept 2015. The boat is a Hanse 350 and I only need one crew. I am looking for crew to help with the on board duties like cooking, cleaning and sailing. We will do a some short and perhaps longer turns starting in Majorca and continue in the Balearic’s etc. F+L is obviously free plus a salary that needs to be negotiated. Duration depends on compatibility but can be from May to October. A 1 to 2 week trial shall give you a good head start. 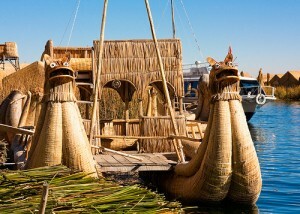 Perhaps there will be a few guests to accommodate but not in the sense of a charter. If you are interested in any of the New Year Crewing Posts then log into your Lovesail account and click on “Crewing”. 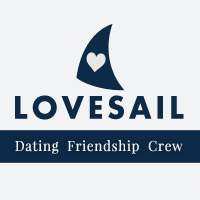 If you are not a member of Lovesail then why not join us? We are a global on-line dating and friendship and crewing site for sailing enthusiasts. Hi. I am on my 36ft catamaran in southeast Spain between Barcelona and Valencia from the 28th May, for 2 to 3 weeks. I am looking for crew to join me for general sailing. I have no set destination. Will possibly make my way down the coast, taking in Valencia . Would consider Female/s (for companionship only) Also Straight male/s own cabin/s. General sailing experience or above if possible, also need to be fit and healthy. Will cover most of the costs including money towards your return flight from Barcelona to Gatwick/UK. If interested then ask to be a friend so as I can look at your profile. Please do not be offended if your not chosen. Thanks for looking. Note. Catamarans really do sail upright.! Southampton, Warsash, St Malo, canals to Arzul, Biscay La Rochelle, Bordeaux, canals to Med, Sete to Barcelona, Palma. My Jeanneau 36i will be in NW England over the summer and I am looking for crew to cruise the Irish sea and Scotland. There is also an opportunity in August to crew the return trip to its home berth in Southern Brittany. 1 week RYA practical sailing course in Marmaris starting on 28 June Saturday ending on 5th July Saturday morning. I will be a student and looking for a companion(s) who wishes to take the course with me. The course follows RYA syllabus and anyone can take the course because the instructor will help you in choosing the right course content suitable for your own skills. There is a course fee but I am ready to pay for friends, if money is a problem. This is a serious RYA practical course and not a sailing vacation offer. A total of 5 students allowed. Already 2 registered including me. I donot know the other person. Please message me if you have interest. Here are just a few of the more exotic crewing posts that are currently listed in the crewing section of Lovesail. If you are interested in any of these wonderful locations then just log into your Lovesail account and visit the Crewing Page. If you are not a member of Lovesail.com then please come and visit our site. Hey hey everyone, looking for some cool people to join me sailing-cruising just after hurricane season. will be leaving Kemah Texas late november making our way toward pananma visiting Mexico, Belize, Guatemala, and so on just having a great time. I have sailed most parts of the world crewing for different people and now I have my own yacht which is a 59 ft Alden booth bay explorer which her name is explorer as well. My plan is to try and just sail around the world the rest of my life meeting cool people and visiting awesome places where the wind takes me. If you are interested please drop me a line, and I will chat with you about the details. Looking for two couples. Sailing from essex some Med Atlantic islands over pond Caribbean south America and more departing first week august contact sailing Dave. Currently sailing Sanctuary (52’Cat) in the Raja Ampat area of Indonesia, then on to Darwin, Australia or Borneo. 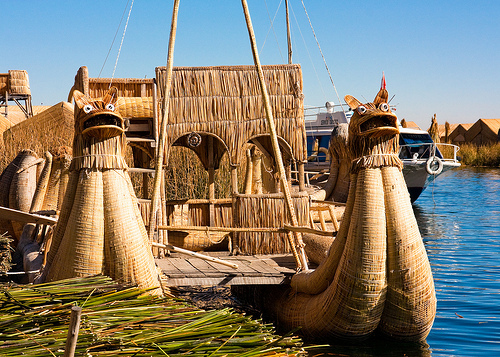 Join in the cruising for weeks and/or passage through the magical islands!